As a drama teacher, I feel that my biggest challenge is the assessment and evaluation of student work and their progress. When I get the students to work on a scene as part of an assessment, I try to give them clear guidelines for them to receive a high mark, but I also do not like over-prescriptive steps that diminish the students’ creative expression. It’s not easy to find that balance. Another balance that has been hard for me to find since I embarked on my career as a drama teacher is that of the Drama Journal: how much balance should there be between the theory and written part of the drama class and the practical and fun part? 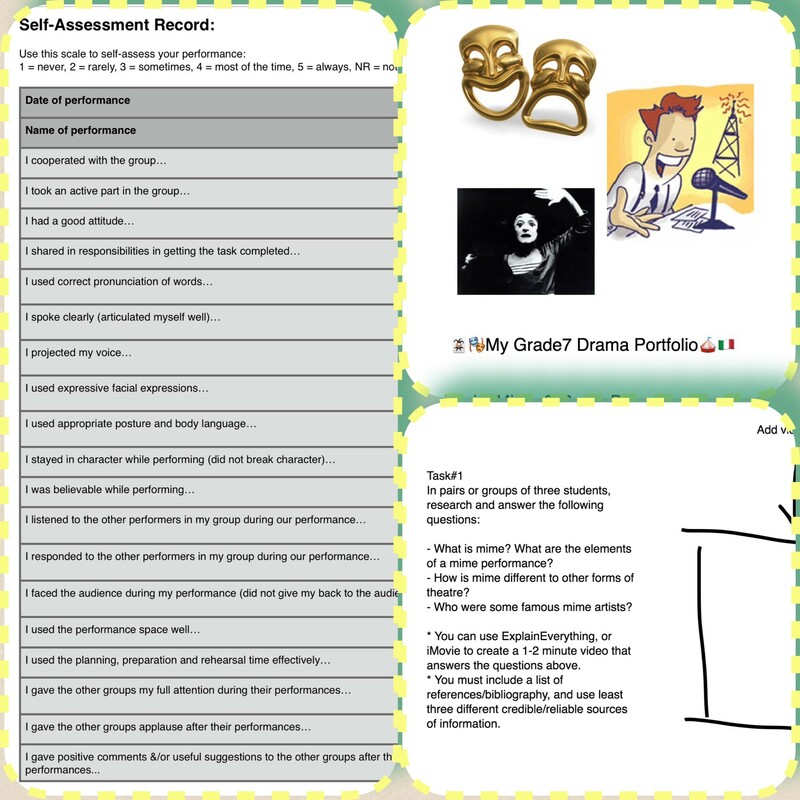 The drama journal is a great tool because it documents evidence of the student’s progress through the course, it serves as a medium for reflection and evaluation (self and peer), it can be used by the teacher for communicating assessment results and feedback, and it records research and theory. I have to admit though, at the beginning of my drama career, I paid very little attention to the drama journal because I just wanted my subject to be ‘fun’ and ‘unlike other subjects’. During those days, I struggled to assess the students’ work because I relied solely on performances, and very little on student reflection/evaluation and self-assessment/peer-assessment. Then I started to make a switch to the extreme opposite: being obsessive about the drama journal, and spending way too much time with students working on it. During that time, I found it difficult to motivate students to do the written work, which created a whole lot of classroom management issues for me. It’s been a process and a journey of trial and error. However, I have to admit that the introduction of iPads in the classroom has made it much easier. 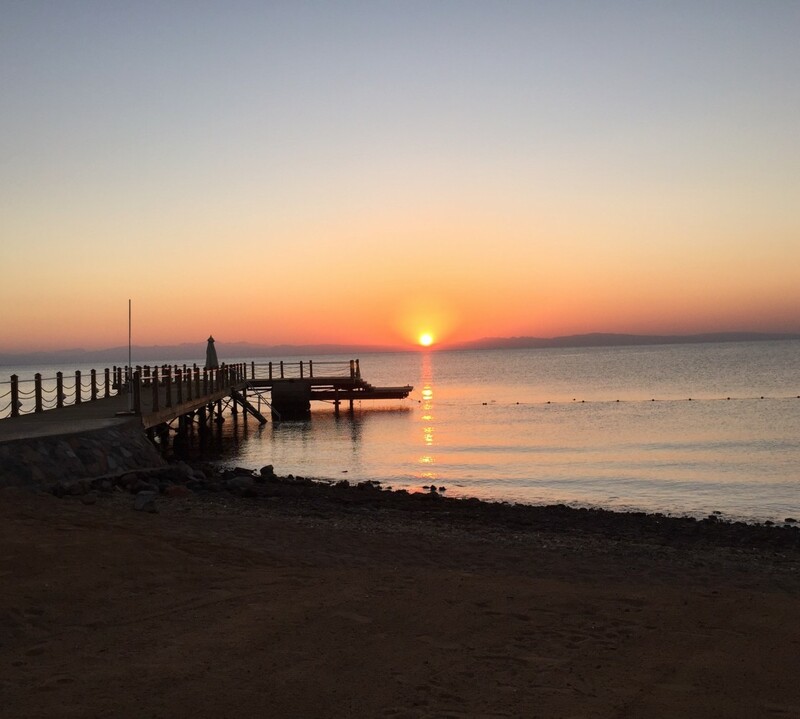 I have experimented with electronic journals or drama e-portfolios on Evernote, Notability and Pages/Keynote. What I like most about iPads is the ability to embed video recordings of rehearsals and performances, as well as photos and voice-notes/audio-recordings without any hassle, something which a paper-journal can not do. Recently, the iPad coordinator at my school recommended that I use an iPad app called ‘Book Creator‘, and it has been a great suggestion so far! I have created a ‘template’ for the drama portfolio/journal on ‘Book Creator’ that I export and share with the students in ‘epub’ format (to allow them to edit and add their artifacts to the portfolio). 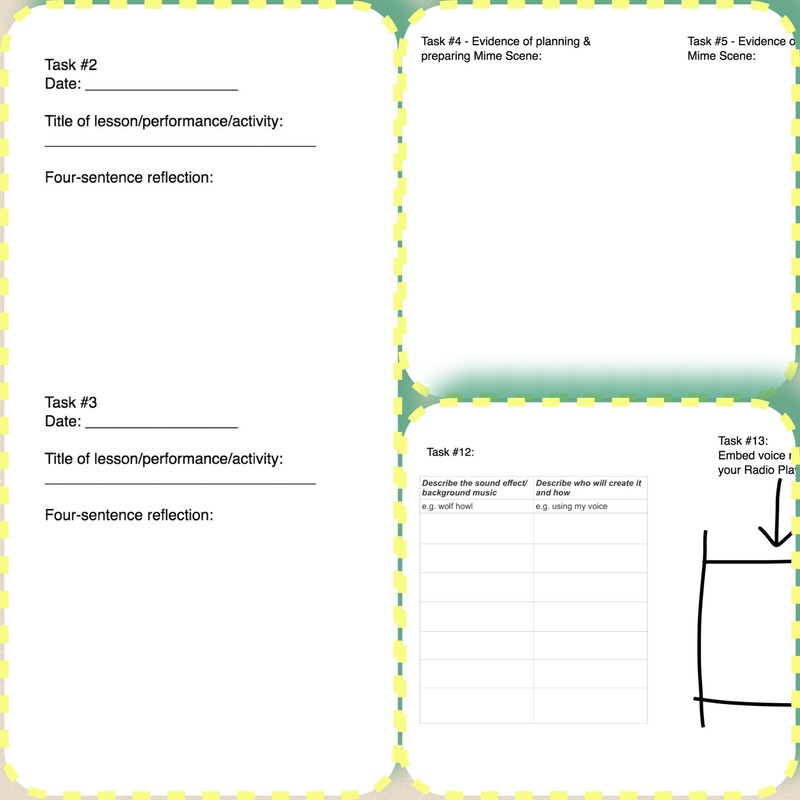 This book-template is structured as a series of tasks: reflection prompts, self-assessment checklists, peer-assessment checklists, research task instructions, rubrics for assessment etc… Students are also encouraged to add photos, videos and audio-recordings in their portfolios. ‘Book Creator’ also allows writing with a pen which can be great for checklists and rubrics embedded in the portfolio. Some of the task instructions also require students to use other apps like ‘ExplainEverything‘ or ‘Puppet Pals‘, all of which allow exporting output as videos that can later be embedded into the student’s portfolio. At the end of the course, the students export the portfolio as an ‘ePub’ and can then be viewed on iBooks with all the pictures, videos, voice-notes and annotations in it. Since I started using ‘Book Creator’, I have also made several adjustments to the tasks in the template, as initially I was too ambitious and put way too many tasks, but now slowly trying to find a better balance. Moreover, at our school, we are required to slowly migrate our courses and set them up on iTunes U, which along with the portfolio template on ‘Book Creator’, has really changed how I deliver my drama courses, mostly for the better! If you would like to see an example of a drama journal template that I compiled, you can access it by clicking here (it is in ePub format). Reblogged this on stevestarftuk's Blog.